The World Economic Forum would like to thank A.T. Kearney, Bank of America, Bloomberg, Burda Media, Centene Corporation, The Coca-Cola Company, EY, Heidrick & Struggles, JLL, Johnson Controls Inc., ManpowerGroup, Old Mutual, Omnicom, Ooredoo, PwC, Renault-Nissan Alliance, SABMiller, Takeda Pharmaceutical, and Tupperware Brands Corporation for their invaluable support of the Global Challenge on Gender Parity and this Report. A.T. Kearney is a leading global management consulting firm with offices in more than 40 countries. Since 1926, A.T. Kearney has been a trusted adviser to the world’s foremost organizations. A.T. Kearney is a partner-owned firm, committed to helping clients achieve immediate impact and growing advantage on their most mission-critical issues. Bank of America is one of the world’s largest financial institutions, serving individual consumers, small- and middle-market businesses and large corporations with banking, investing, asset management and other financial and risk management products and services. The company provides unmatched convenience in the United States, serving approximately 48 million consumer and small business relationships with some 4,800 retail banking offices and around 16,000 ATMs, and award-winning online banking with 31 million active users and approximately 18 million mobile users. Bloomberg, L.P. is the leading global provider of financial data, analytics, news and media. Bloomberg provides real-time financial information to more than 310,000 subscribers; through Bloomberg Law, Bloomberg Government and Bloomberg New Energy Finance, the company provides data, news, and analytics to decision makers in industries beyond finance. Bloomberg News, TV, Radio, Mobile, Internet and two magazines—Businessweek and Markets—cover the world with over 2,300 news professionals. The company employs more than 17,000 people in 192 locations around the world. At total consolidated sales of €2.46 billion and over 10,000 employees in 18 countries, Hubert Burda Media is one of Europe’s largest consumer internet companies. Burda’s digital activities have been the main driver of the company’s growth. 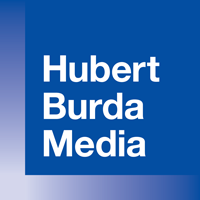 Hubert Burda Media reaches over 160 million users online; 40 million consumers enter into paying relationships with one of Burda’s 400 brands. As Germany’s leading magazine publishing house, the company offers about 80 magazines in Germany and another 240 magazines all over the world. Heidrick & Struggles serves the executive talent and leadership needs of the world’s top organizations as the premier provider of leadership consulting, culture shaping and senior-level executive search services. The consultants of Heidrick leverage deep expertise across every industry sector and an unparalleled global presence. Heidrick & Struggles pioneered the profession of executive search more than 60 years ago. Today, the firm serves as a trusted adviser, providing integrated leadership solutions and helping its clients change the world, one leadership team at a time. JLL (NYSE: JLL) is a professional services and investment management firm offering specialized real estate services to clients seeking increased value by owning, occupying and investing in real estate. With annual fee revenue of $4.7 billion and gross revenue of $5.4 billion, JLL has more than 230 corporate offices, operates in 80 countries and has a global workforce of approximately 58,000. On behalf of its clients, the firm provides management and real estate outsourcing services for a property portfolio of 3.4 billion square feet, or 316 million square metres, and completed $118 billion in sales, acquisitions and finance transactions in 2014. Its investment management business, LaSalle Investment Management, has $55.3 billion of real estate assets under management. JLL is the brand name, and a registered trademark, of Jones Lang LaSalle. Johnson Controls is a global diversified technology and industrial leader serving customers in more than 150 countries. Its 170,000 employees create quality products, services and solutions to optimize energy and operational efficiencies of buildings; lead-acid automotive batteries and advanced batteries for hybrid and electric vehicles; and seating components and systems for automobiles. The company’s commitment to sustainability dates back to 1885, with the invention of the first electric room thermostat. Through its growth strategies and by increasing market share, Johnson Controls is committed to delivering value to shareholders and making its customers successful. In 2014, Johnson Controls reported annual sales of $42.8 billion and is consistently ranked on the U.S. Fortune 500 and Global Fortune 500. Johnson Controls is committed to good corporate governance and community service. In 2015, Corporate Responsibility Magazine recognized Johnson Controls the no. 14 company in its annual “100 Best Corporate Citizens” list, confirming its position as an ethical and trusted brand in the industries it serves. ManpowerGroupTM (NYSE: MAN) is the world’s workforce expert, creating innovative workforce solutions, for more than 65 years. It connects more than 600,000 people to meaningful work across a wide range of skills and industries every day. Through its ManpowerGroup family of brands—Manpower®, Experis®, Right Management® and ManpowerGroup® Solutions—it helps more than 400,000 clients in 80 countries and territories address their critical talent needs, providing comprehensive solutions to resource, manage and develop talent. In 2015, ManpowerGroup was named one of the World’s Most Ethical Companies for the fifth consecutive year and one of Fortune’s Most Admired Companies, confirming its position as the most trusted and admired brand in the industry. ManpowerGroup makes powering the world of work humanly possible. Old Mutual provides investment, savings, insurance and banking services to more than 17 million customers in Africa, the Americas, Asia and Europe. Originating in South Africa in 1845, Old Mutual has been listed on the London and Johannesburg Stock Exchanges, among others, since 1999. In the year ended 31 December 2014, the Group reported adjusted operating profit before tax of £1.6 billion (on an IFRS basis) and had £319 billion of funds under management from core operations. For further information on Old Mutual plc, please visit the corporate website at www.oldmutual.com. Omnicom is a strategic holding company headquartered in New York. It manages a portfolio of global market leaders in the disciplines of advertising, marketing services, specialty communications, interactive/digital media and media buying services. Omnicom Group companies cover more than 30 marketing communications disciplines across more than 200 strategic brand platforms, comprising three global advertising agency networks, leading national advertising agencies, a global network of more than 175 marketing services companies and a media group that includes two of the world’s premier providers of media planning and buying services. Omnicom’s commitment to excellence, quality and client satisfaction is a primary reason why its record of new business wins and longevity of major client relationships are the best in the business. Its agency brands are consistently acknowledged as having the best creative talent in the world in all disciplines. A leader in digital media, Omnicom Group has been ranked number one in digital share of revenue among all holding companies. Ooredoo is a leading international communications company delivering mobile, fixed, broadband internet and corporate managed services tailored to the needs of consumers and businesses across markets in the Middle East, North Africa and Southeast Asia. As a community-focused company, Ooredoo is guided by its vision of enriching people’s lives and its belief that it can stimulate human growth by leveraging communications to help people achieve their full potential. Ooredoo has a presence in markets such as Qatar, Kuwait, Oman, Algeria, Tunisia, Iraq, Palestine, the Maldives, Myanmar and Indonesia. The company was named “Best Mobile Operator of the Year” at the World Communication Awards 2013. The company reported revenues of US$ 9.1 billion in 2014 and had a consolidated global customer base of more than 107 million people as of 31 December 2014. Ooredoo’s shares are listed on the Qatar Exchange and the Abu Dhabi Securities Exchange. PwC helps organizations and individuals create the value they are looking for. PwC is a network of firms in 157 countries with more than 195,000 people who are committed to delivering quality in assurance, tax and advisory services. PwC is part of the global conversation and movement towards responsible business practices that create positive change in the world. PwC refers to the PwC network and/or one or more of its member firms, each of which is a separate legal entity. Founded in 1999, the Renault-Nissan Alliance is the longest-lasting cross-cultural combination among major automakers. It sells one in 10 cars globally and employs nearly 450,000 people in nearly 200 countries. Renault and Nissan are separate companies but enjoy a cross-shareholding partnership which focuses on results-driven synergies and respects brand and corporate identities. The Alliance has expanded to include collaborations with Germany’s Daimler, China’s Dong Feng and Russia’s AvtoVAZ, among others. Renault and Nissan are the only automakers mass-producing and selling zero-emission vehicles, including the Nissan LEAF and Renault Zoe, which are 100% electric and can be fully recharged with purely renewable energy. Together, the Alliance has sold more than 200,000 electric vehicles-more than all of the other major automakers combined. The Alliance is committed to expanding the zero-emission infrastructure around the world and has agreements with over 100 cities, states and countries that are working to ensure electric vehicles are both affordable and convenient. SABMiller is in the beer and soft drinks business, bringing refreshment and sociability to millions of people all over the world who enjoy our drinks. The company does business in a way that improves livelihoods and helps build communities. SABMiller is passionate about brewing and has a long tradition of craftsmanship, making superb beer from high quality natural ingredients. Our local beer experts brew more than 200 beers from which a range of special regional and global brands have been carefully selected and nurtured. SABMiller is a FTSE-20 company, with shares trading on the London Stock Exchange, and a secondary listing on the Johannesburg Stock Exchange. The group employs around 69,000 people in more than 80 countries, from Australia to Zambia, Colombia to the Czech Republic, and South Africa to the USA. Every minute of every day, more than 140,000 bottles of SABMiller beer are sold around the world. In the year ended 31 March 2015, SABMiller sold 324 million hectolitres of lager, soft drinks and other alcoholic beverages, generating group net producer revenue of US$26,288 million and EBITA of US$6,367 million. Takeda Pharmaceutical is a global pharmaceutical company with a presence in more than 70 countries around the world. The company has a history spanning over 230 years and is currently the top pharmaceutical company in Japan and Asia, as well as one of the top 20 pharmaceutical firms globally. It pursues its mission to strive towards better health for people worldwide through leading innovation in medicine in four therapeutic areas: CNS, cardiovascular and metabolic diseases, gastroenterology and oncology. Tupperware Brands Corporation is the leading global marketer of innovative, premium products across multiple brands, utilizing a relationship-based selling method through an independent sales force of 2.9 million. For more than 65 years, Tupperware Brands has connected women through its worldwide sales force—propelling the organization’s business objectives while positively impacting the lives of women through a unique business model that educates and empowers through economic opportunities, training and enhanced self-confidence.